A complex structure adhering to surfaces that are regularly in contact with water, consisting of colonies of bacteria and usually other microorganisms such as yeasts, fungi and protozoa that secrete a mucilaginous protective coating in which they are encased. Biofilms can form on solid or liquid surfaces as well as on soft tissue in living organisms, and are typically resistant to conventional methods of disinfection. Dental plaque, the slimy coating that fouls pipes and tanks and algal mats on bodies of water, are examples of biofilms. 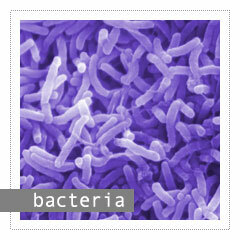 The different species of disease-causing pathogens in dental waterline biofilm can number in the hundreds. The American Heritage® Science Dictionary Copyright © 2005 by Houghton Mifflin Company. Published by Houghton Mifflin Company. All rights reserved. The levels of bacteria in water from newly installed dental unit waterlines can reach 200,000 CFU/mL of water within five days of installation. The small diameter of dental tubing creates a high surface-to-volume ratio for enhanced biofilm growth. Dr. Reeves, Dr. Toloue and their staff comply with all infection control guidelines and recommendations. During surgical procedures all equipment is sterile including any water lines used. The AquaSept™ system used in our practice is one of the few systems that comply with the 2003 CDC guidelines for infection control during surgical procedures. Check with other surgical providers to ensure they are using sterile tubing for your surgery. 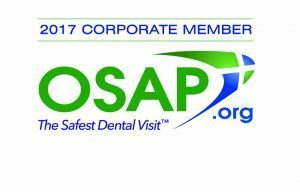 Cedar Park Periodontics, PC and Dr. Reeves will do all possible to make sure you are treated safely to minimize the chance of infections. Copyright 2014 AquaSept™. All rights reserved.